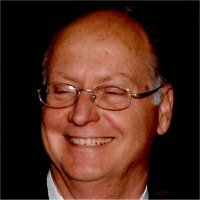 Steven P. Walter, 63, of Belleville, Illinois, born Thursday, June 30, 1955, in Belleville, IL, passed away Tuesday, January 15, 2019 at Memorial Hospital in Belleville, Illinois. Steven was a Roofer by trade and in his youth, was a member of the Black Knights. Memorials: Memorials may be made to the National Kidney Foundation, St. Louis, MO. Visitation: A Celebration of Life will be held Friday, January 18, 2019 from 4:00 pm to 7:00 pm at East Lodge #504, 9950 St. Clair Ave in Fairview Heights, IL. ***Come and share your memories of Steven and enjoy some of the things he loved. Very sorry for your loss Brenda. Brenda – I am so sorry for you and your family’s loss. My sympathies. Vick and Carol and family I am so sorry for your loss. I am sorry we could not be there. Our thoughts and prayers are with you. We are so sorry for your loss! We love you and will be praying for you and your family. We are so very sorry for your loss and are sending our love and condolences to the entire family. We love you all. To Whole family of Steven, we are sincerely sorry for your loss.